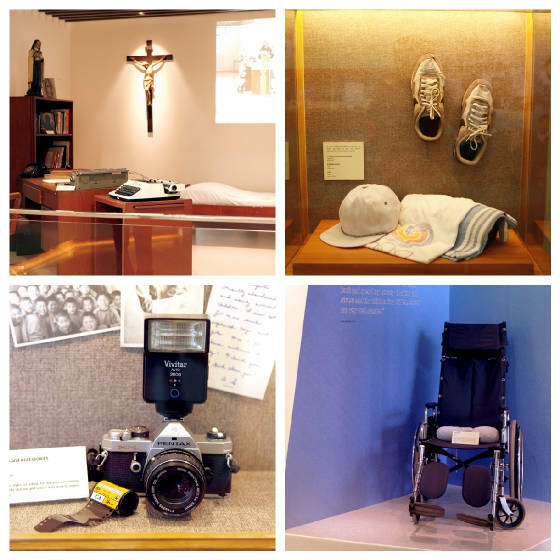 The Monsignor Al Schwartz Memorial Center (MASMC) was built to serve as the memorabilia of Venerable Aloysius Schwartz who founded the Religious Congregations of the Sisters of Mary and the Brothers of Christ in order to serve the poorest of the poor in the name of Christ. 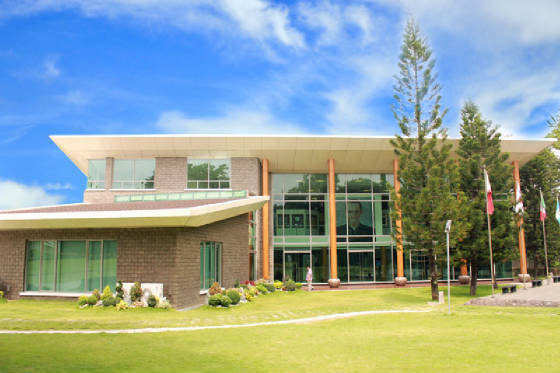 Through the contributions of the beneficiaries of the wonderful works of Monsignor Aloysius Schwartz – his spiritual children, alumni from Korea, the Philippines, Mexico, Guatemala and Brazil, as well his friends, the construction of this Center was made possible. 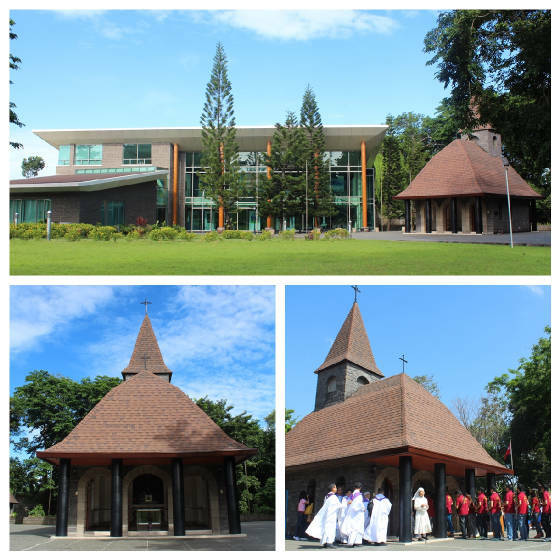 Inauguration was held on June 29, 2013, the 56th Anniversary of Fr. Al’s ordination to the priesthood. 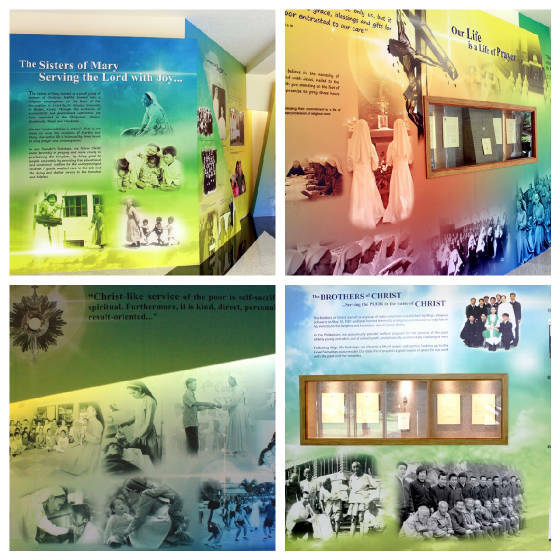 The first floor is dedicated to the Religious Congregations of the Sisters of Mary and the Brothers of Christ in their selfless giving of their being, serving the Lord with joy in the spirituality of their beloved founder. 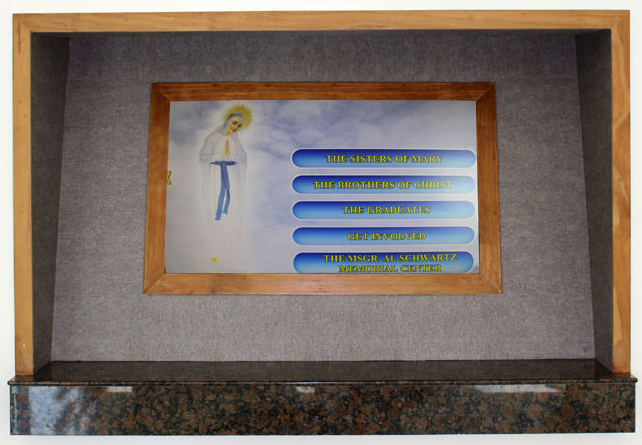 An interactive panel (touch screen) will help discover the activities of these congregations in different countries. There is also an area for changing exhibits. The first exhibit is entitled “The Virgin of the Poor raises a priest for her poor” relating the apparitions and the message of our Lady as she appeared in Banneux, Belgium and how the Lady inspired Msgr. Schwartz work for the poor in the service of the Gospel. A hall called “Songdo” (a place in South Korea, where Msgr. Schwartz started his missionary life) is reserved for audio / video presentations, lectures and seminars of a small group of people. 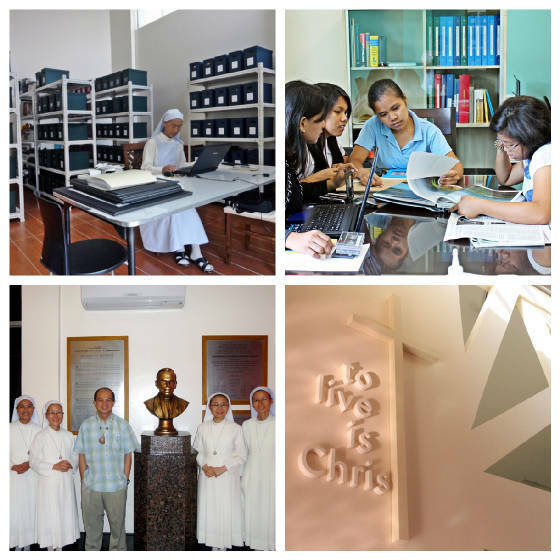 The second floor also houses the archives of Msgr. Schwartz and the congregations, the research center and an office of the Fr. Al’s Commission, which promotes the Cause of his Beatification and Canonization. Located at the left side of the Memorial Center is the Virgin of the Poor Chapel, where the mortal remains of Msgr. Schwartz lay. 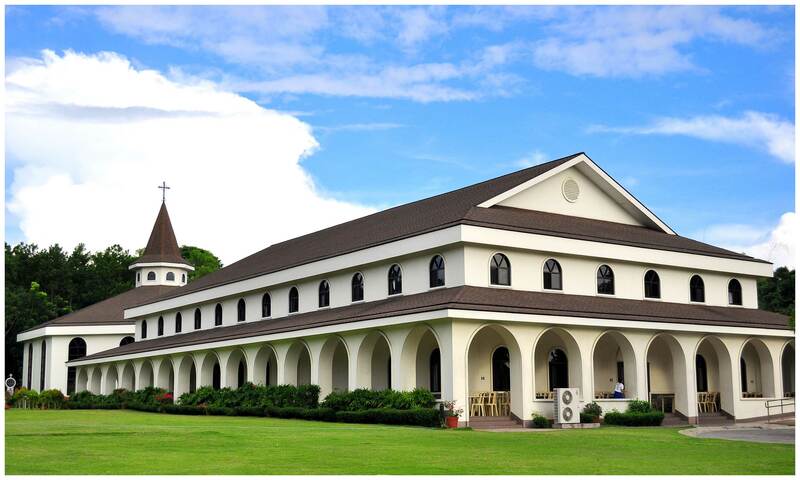 The chapel is the lone replica in the Philippines of the Apparition Chapel in Belgium. In front is the Fr. 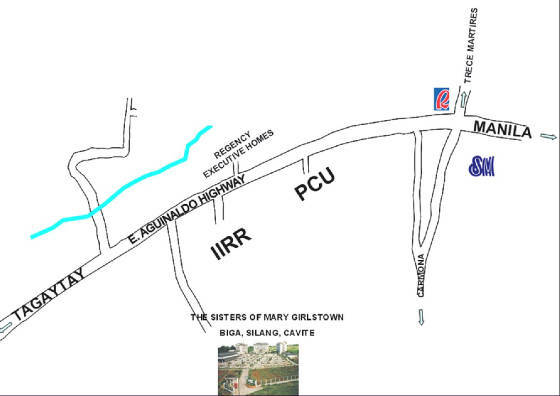 Al’s Retreat House, which accommodates people who wish to be refreshed and renewed spiritually in silence or group retreats and seminars and workshops. SOUVENIR SHOP. The shop offers books written by Msgr. 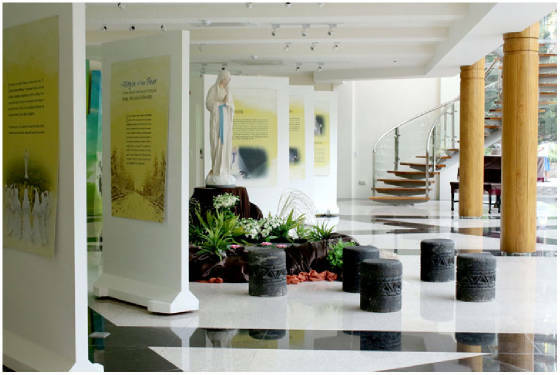 Schwartz himself and other authors, items such as handicrafts and paintings made by the children and graduates of the Sisters of Mary Schools in different countries, statues, medals and pictures of the Virgin of the Poor and many others. The MASMC is open to the public. 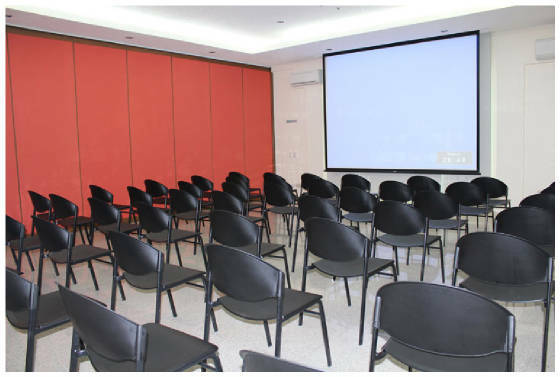 Small groups may avail of the venue for various activities such as cultural and social presentations, lectures, workshops with artists, presentation of events, etc. Closing starts at 5:00 P.M. Enjoy your visit and we hope and pray that you will also spread the love and mercy of God as Venerable Aloysius Schwartz showed in his life and charity works. Get involved in your own little way. No entrance fee is collected. Donation is greatly appreciated for the upkeep of the Center and for other specific intentions you may want to share your blessings.